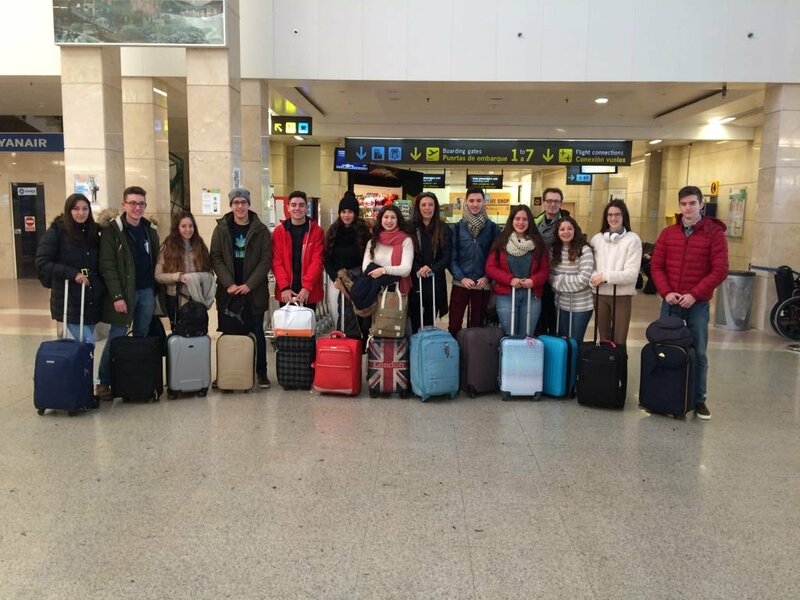 How to survive in london – Somos un grupo de alumnos y alumnos del IES Cristóbal Colón de Sanlúcar de Barrameda. Este es nuestro primer viaje a Londres. Queremos que este blog sea una gua práctica para estudiantes y un recuerdo de nuestras experiencias en Londres. Welcome. Somos un grupo de alumnos y alumnos del IES Cristóbal Colón de Sanlúcar de Barrameda. Este es nuestro primer viaje a Londres. Queremos que este blog sea una gua práctica para estudiantes y un recuerdo de nuestras experiencias en Londres. Welcome. Te third day starts when we _took_ a bus to go to Greenwich’s Meridian. There, we took a lot of photos (jumping, thrown in the grass, posing as models, …). Suddenly, we change the sound of the birds of the field into that of the cars of the great city. Piccadilly Circus appeared in front of our eyes full of the best shops that we could imagine. After enjoy like children in Hamley’s toyshop, we visit another country through the imagination while we were walking for Chinatown. After the meal time, we crossed the world and we travelled in a timemachine while we were visiting the British Museum. There, we knew Cleopatra and the Rosetta Stone. At last of the day, Camden town, one of the most enterteining places of the trip. There, we laugh a lot trying to buy gifts for the as low as possible price. This day started crossing the Tower Bridge. In our opinion, an amazing monument. We carried on taking photograph in order not to change our habits. Are we “photoholic”? Oooo I have forgotten that we got through a “Tesco” . Our hungry mates had to buy some food to keen on alive. When we were in the other river bank, we could see a impressive Castle. We were in front of London’s Tower. Cold stopped our muscles and it was the perfect moment to recorde a video, better said , a Mannequin Challenge. David was waiting our arrival to Apple store. Two hours later, we got to Big Ben. Besides, we had (some?) A LOT OF BLISTERS. And now, lunch time arrived. Nevertheless, a problem appeared: where could we eat? (McDonald’s again?, Tesco’s picnic?, Traditional Bar?). Just we finished, we went to National Gallery. However, an opera act was found by us. So many paintings can be found there! The next destination was Convent Garden. After that, Rest Up Hostel was waiting for us. The first day was a day of many emotions together, of nerves, illusion, joy, fear … a little of everything. We took the plane around 11:30 and it was quite a long flight since we were separated and we got bored alone, but once we got there we started to be amazed by the beautiful views. After a few laps at the London airport to find the bus that was coming for us, we arrived at the hostel. There Ana talked with the secretary, because there were problems with the rooms, but there was Jose Manuel to help her. We ran out of the hostel to take advantage of the little afternoon we had, and we went for a walk to the Tate Modern, visit St. Paul Cathedral, the tavern of Charles Dickens, the Temple and finally at Mc Donald’s. While we walked we could take the oyster card to travel by bus and metro. -Maria A, Maria G and Laura. Can we survive in London? Estamos tod@s los que vamos , pero no vamos tod@s los que estamos. Y estabamos preparados en la cola para embarcar, cuando oimos por megafonía: ” Remember that from January 15 it is totally forbidden to bring flowers and combs on ryanair flights”. Vaya que contrariedad… vaya, ¡que nos las tuvimos que quitar! Ni te imaginas todas en el cuarto de baño… y yo con estos pelos. “Flamenco dresses are also prohibited on board”. ¡IT’S a PITY QUE LA VIDA NO SEA UNA FERIA TOTAL!